Time was when a ‘via satellite’ telecast was actually live. Apparently not anymore, as the cable station that was broadcasting the Pacquiao-Bradley bout for local consumption started airing just about when it had already concluded in real time. There ought to be a law forbidding people from posting updates on Facebook and Twitter. These effectively spoil things for people – like me – who still have to watch the bout on supposedly via satellite feeds. And there ought to be another law forbidding people from viewing updates on Facebook and Twitter while the bout is still ongoing; else they will only whine as I am doing. Of course, I looked. The cat could not resist its curiosity; and it wasn’t even into social networks. As one can surmise, it was remarkably quiet at midday even for a Sunday. I am not even excited to hear the crime rate report later in the news because it’s common knowledge that Pacquiao routinely achieves what the PNP cannot no matter how hard it tries. Even before watching the fight – and I did, despite the delay – I could not say that I was at all surprised by how it ended. Disappointed, yes. But I have had a bad feeling about this for days. Maybe it’s just me; but I thought Pacquiao had been looking remarkably serene when speaking to the media in the build-up to the bout. Now who wanted him serene going into the ring? At any rate, having finally watched the fight, my own personal conclusion is that the result could have swung either way. There were rounds that Pacquiao dominated; and those that Bradley did. Just trying to see things without Filipino eyes. One thing I’m sure of: this was not a typical Pacquiao fight in that you did not know that the judges would call it his way at the end of twelve rounds. Take the last bout against Marquez. That was as close as a fight could possibly get; but most of us still probably knew that Pacquiao would come away with it. 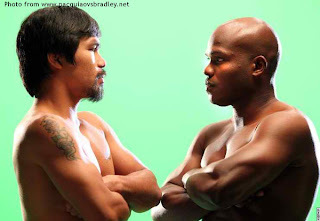 In short, at least the way I saw it, Pacquiao did not dominate Bradley as much as I and everyone else in these beautiful islands of ours would have liked. Or, at least, to the point that the eventual winner was always going to be a foregone conclusion. The pundits were almost in unison that Bradley’s thickly muscled body would slow him down to his own disadvantage. Unless my eyes are in need of glasses, I thought that he matched Pacquiao for speed. He was also landing punches. Marquez threw loud punches, the worthless sort when the gloves hit the arms and the sound of which was picked up by the ringside boom mikes. Although Pacquiao said post-fight that Bradley was only hitting him on the arms, I thought that I saw not just a few that got through. Too many, in fact, for my own as well as Pacquiao’s comfort. There is talk on social media about the result having been rigged to generate more dollars for the promoters. I do not want to go to that extent because a rematch was always going to be on the schedule board, anyway. Such talk is also disrespectful to Bradley. While I am not convinced that he won it, I am not convinced that Pacquiao did so, either. 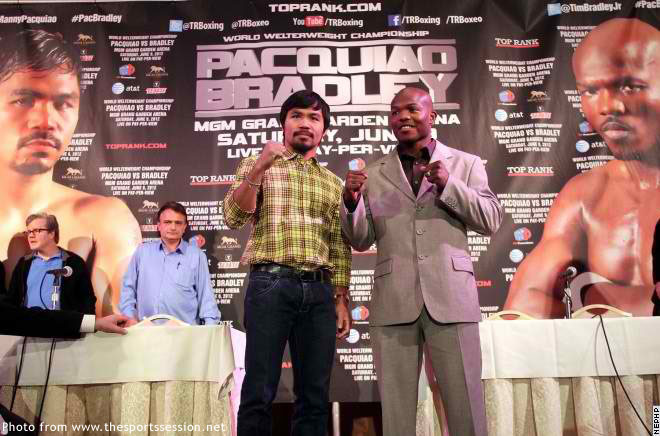 One loss will not make Pacquiao any less great as a fighter. On the contrary, even Muhammad Ali had his bad days at the office as well. And of all the Ali fights that I saw, what I remember and cherish the most were those when he reclaimed that which was rightfully his. Admit it! 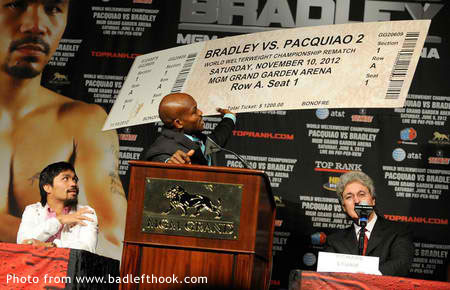 You are already salivating at the prospect of a rematch; and more so than if Pacquiao had routinely beaten Bradley today.